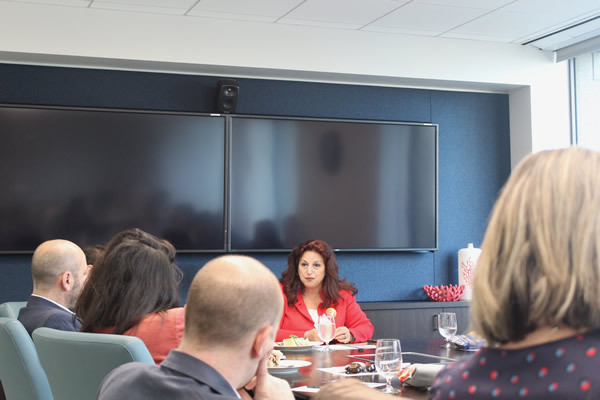 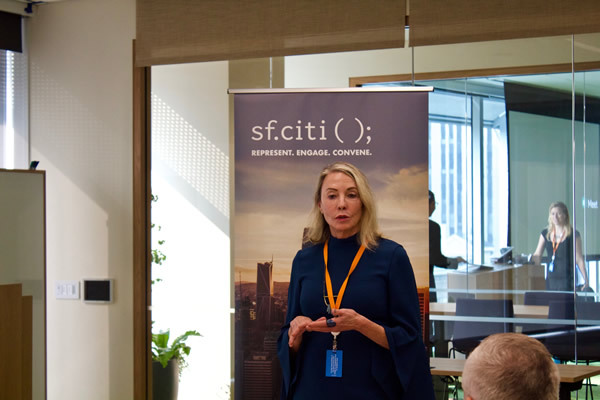 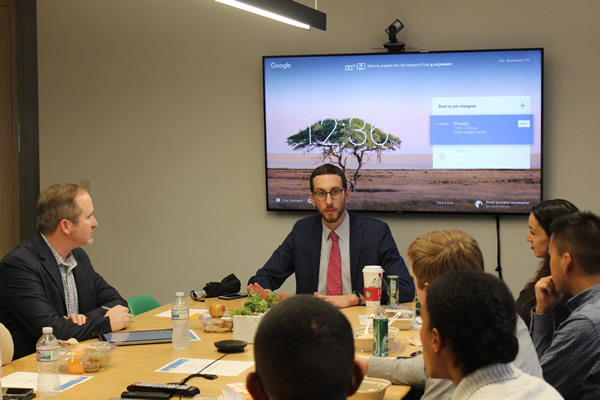 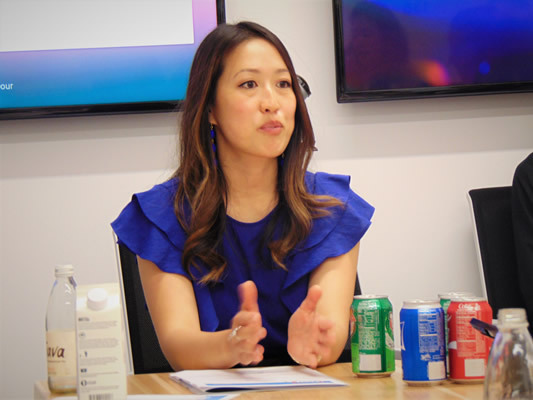 Throughout the year, sf.citi offers its members unique opportunities to become familiar with key issues affecting their company and employees, interact with local leaders in an intimate setting, and open avenues for future partnerships. 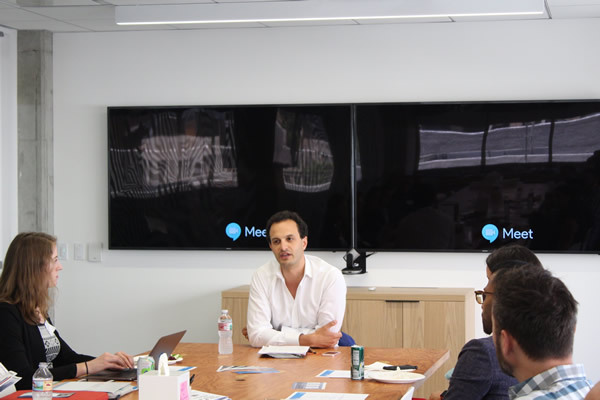 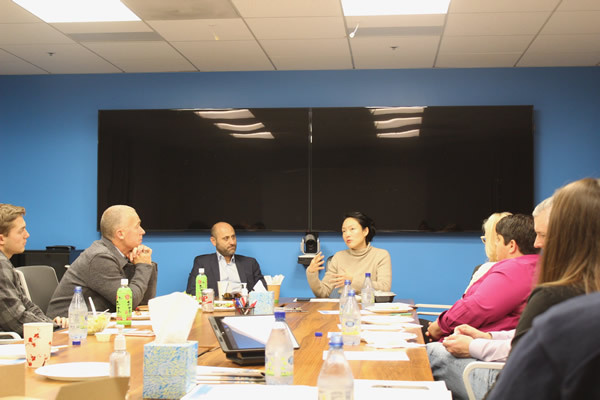 We are always seeking new methods and events to bring together a cross-section of industry leaders to discuss and collaborate on the future of San Francisco and our technology community. 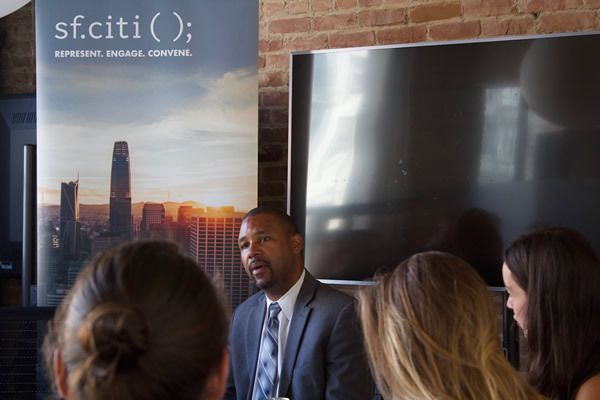 At both the state and local level, sf.citi leads the way in advocating for San Francisco’s tech industry by engaging policymakers on the most pressing issues facing our community. 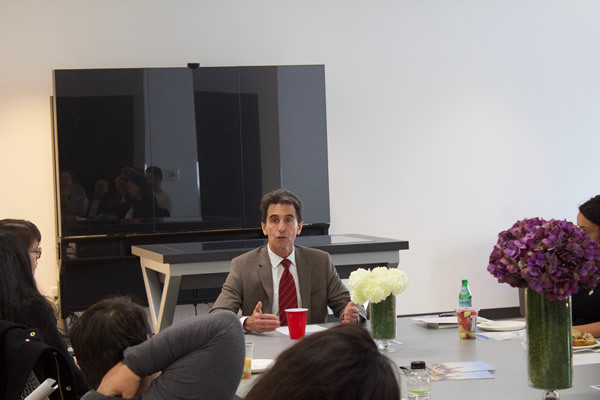 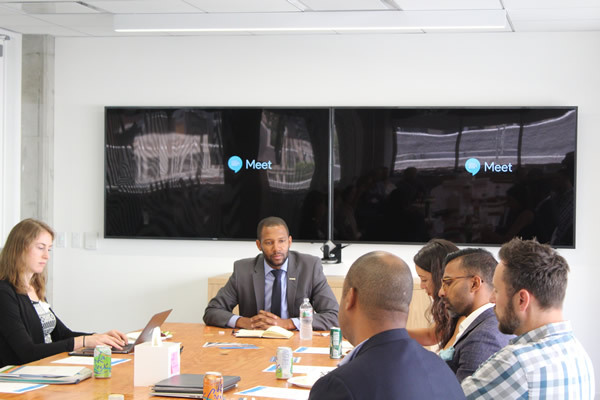 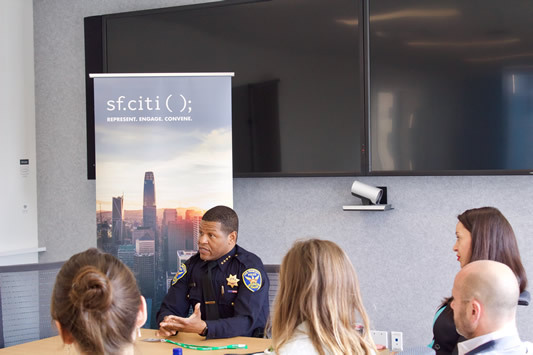 To further these conversations, sf.citi launched our Lunch and Learn series in 2017 to provide members with regular opportunities to meet the elected officials who represent them. 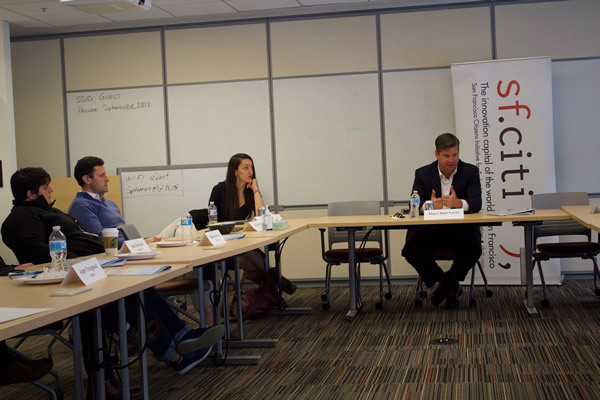 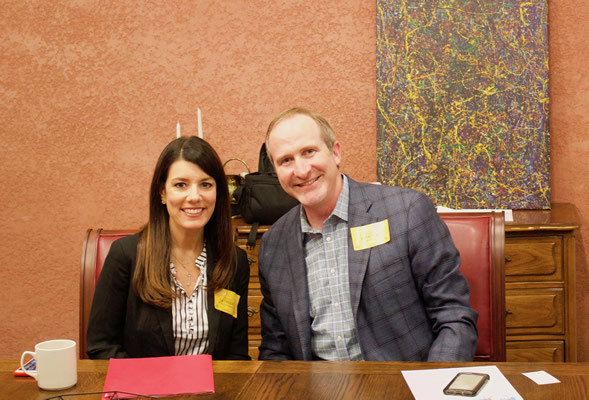 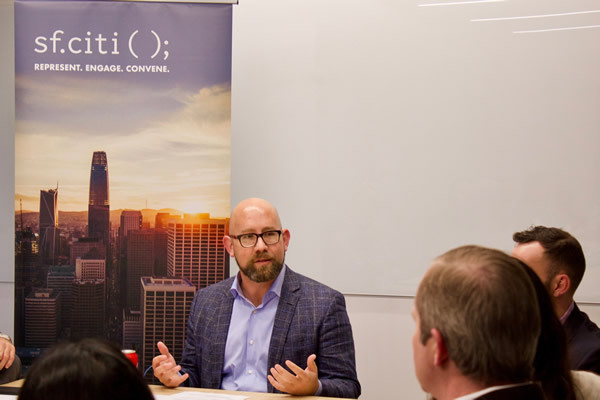 These intimate and engaging discussions between members and legislators explored the shared challenges affecting the tech community and the City of San Francisco. 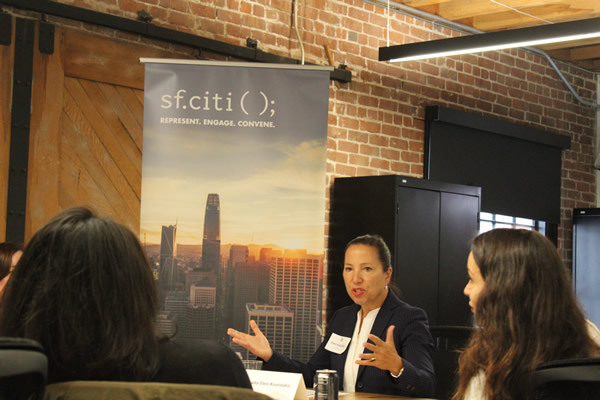 Near the end of each year, sf.citi celebrates all of the people who make our work possible by inviting our board, member companies, partners, and friends to come together at our Annual sf.citi Members Reception. 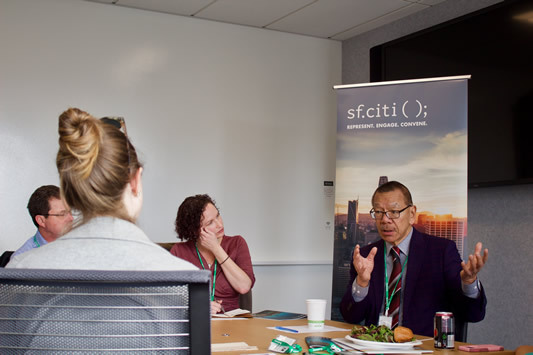 It has become sf.citi custom to invite our city’s leader to join in the sf.citi Members Reception fun. 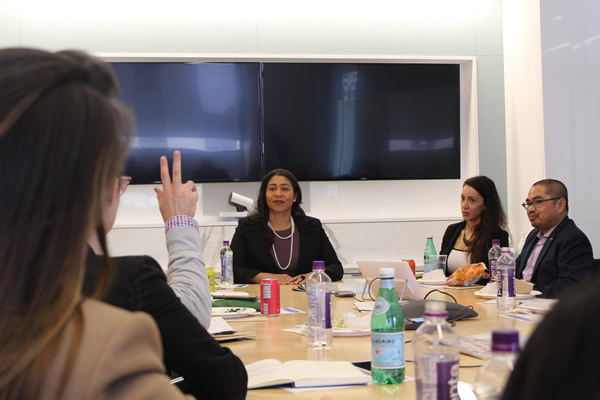 In 2017, we welcomed Mayor Ed Lee and in 2018, we were honored to have Mayor London Breed, who spoke about the ever-growing role tech plays in San Francisco and what the industry can do to to keep the city moving forward. 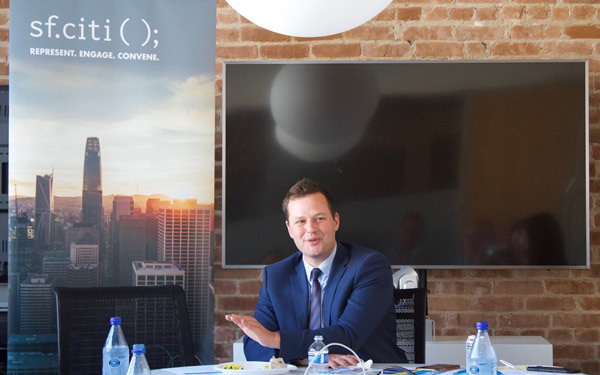 In October 2017, sf.citi released its first white paper, “Taxing Innovation: The Challenge of Regulating Job Automation.” As artificial intelligence and automation have already radically changed the way we work, sf.citi called on government and business to collaborate on an appropriate approach to automation in the workplace. 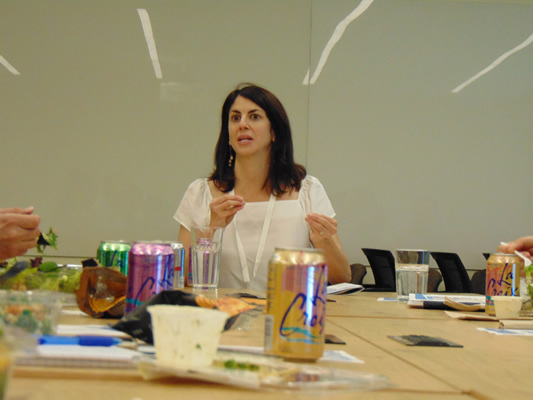 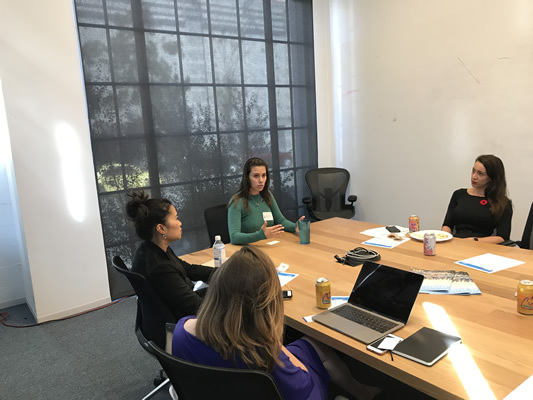 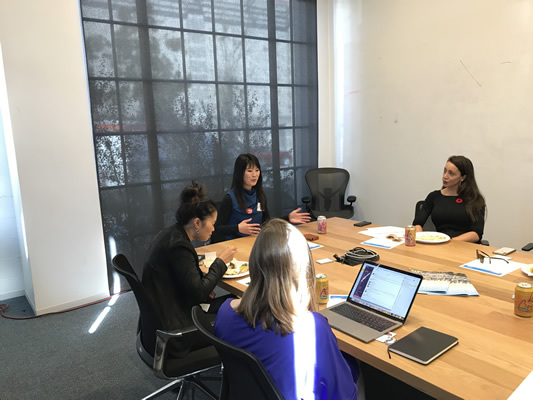 In culmination with the paper’s release, sf.citi then brought together a cross-section of 25 San Francisco leaders from the tech, nonprofit, and public sectors to discuss the ideas we prompted in the paper. 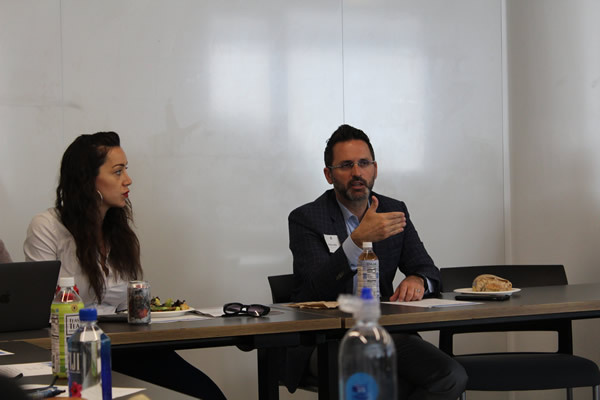 We convened a panel of distinguished experts across various fields of work, including Roy Bahat of Bloomberg Data, Vikrum Aiyer of Postmates, Laurel Arvanitidis of the San Francisco Office of Economic and Workforce Development, and Abby Snay of JVS Bay Area, to spark an informative and engaging conversation around the future of work. 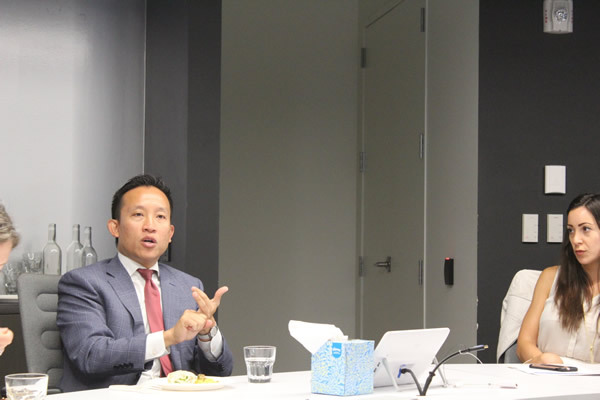 This white paper and policy breakfast will be the first of many more to come.